Planet Earth 2019 is a singing celebration of our beautiful world. Planet Earth 2019 - a thought provoking, entertaining and fun collection of songs and images to get us thinking a little more about the amazing world we live in. Something for family, friends, children, parents and partners. The afternoon performance will be an autism and dementia friendly show. All profits in aid of the World Wildlife Fund. 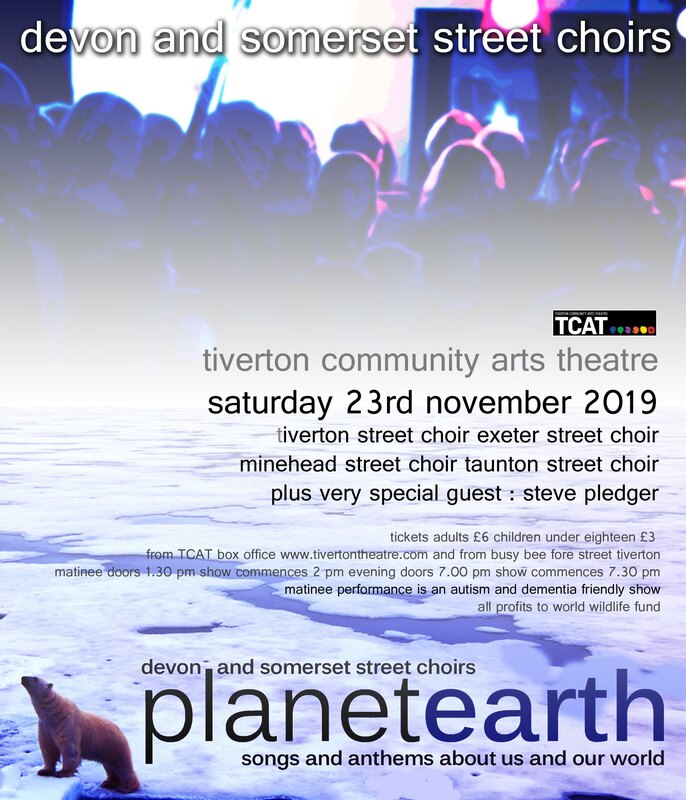 Tiverton Street Choir, Exeter Street Choir, Minehead Street Choir and Taunton Street Choir come together for a unique singing and visual show using popular songs and anthems. With very special guest Steve Pledger will open for us. Steve is an established professional singer songwriter based in Durham. He performs around the UK and has award winning albums to his name.